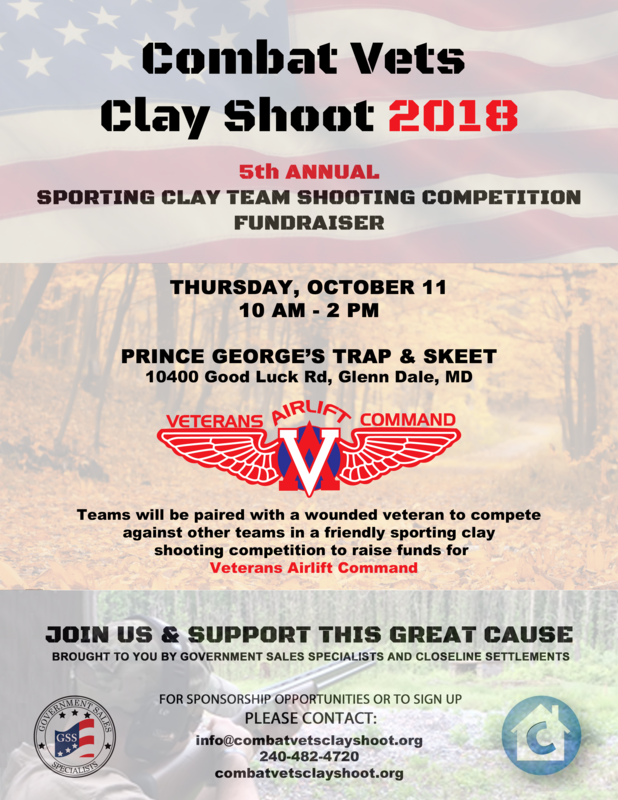 Join us on October 11th for our 5th annual Combat Vets Clay Shoot, a sporting clay competition and fund raiser to support Veterans Airlift Command, an organization that provides transport for combat wounded veterans through a national network of volunteer pilots. The day will featured a catered BBQ lunch, and a friendly sporting clay competition. Each shooting team will feature a handicapped veteran, shooting at the venue’s handicap accessible sporting clay range. We hope you can join us and support this special cause. If you are interested in becoming a sponsor, from the corporate level or as an individual participant, please contact us for more information. ← Welcome to The New GSS Website!